Imagine an organic food with 30% daily value (DV) of protein, 32% DV of fiber, as well as magnesium, iron and zinc. It's all inside our 15G Hemp Protein, one of nature's perfect superfoods. It contains high-quality plant protein with the branched-chain amino acids that are vital for good health, and it's super easy to digest. 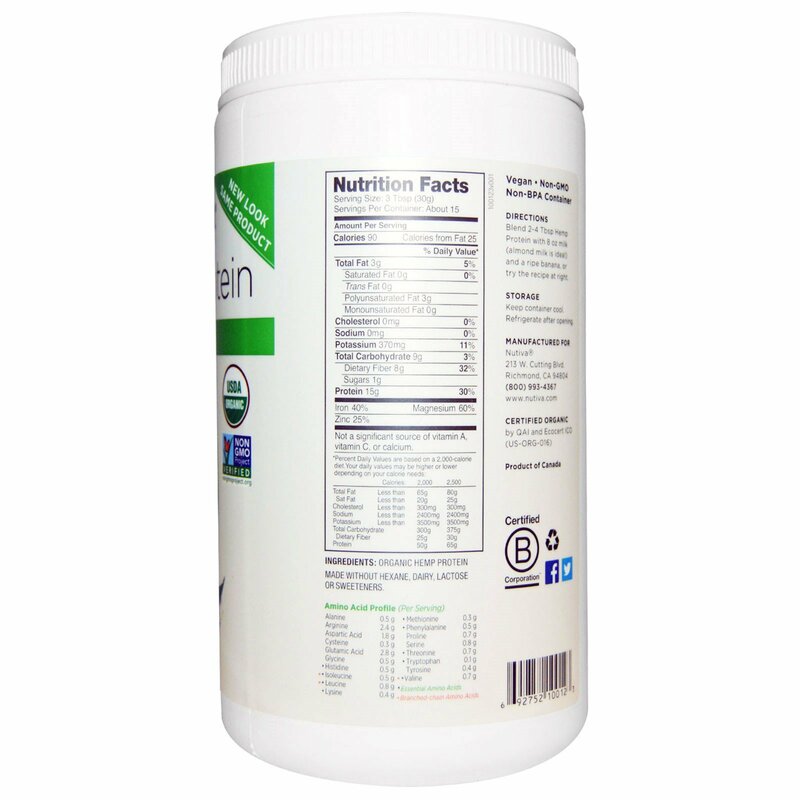 One serving provides 15 grams of raw organic protein and 8 grams of fiber per serving (32% DV). Hemp contains all 9 essential amino acids, with the bonus of good-for-you essential fatty acids (2 g per serving). Certified organic hemp is the Earth's premier renewable resource! 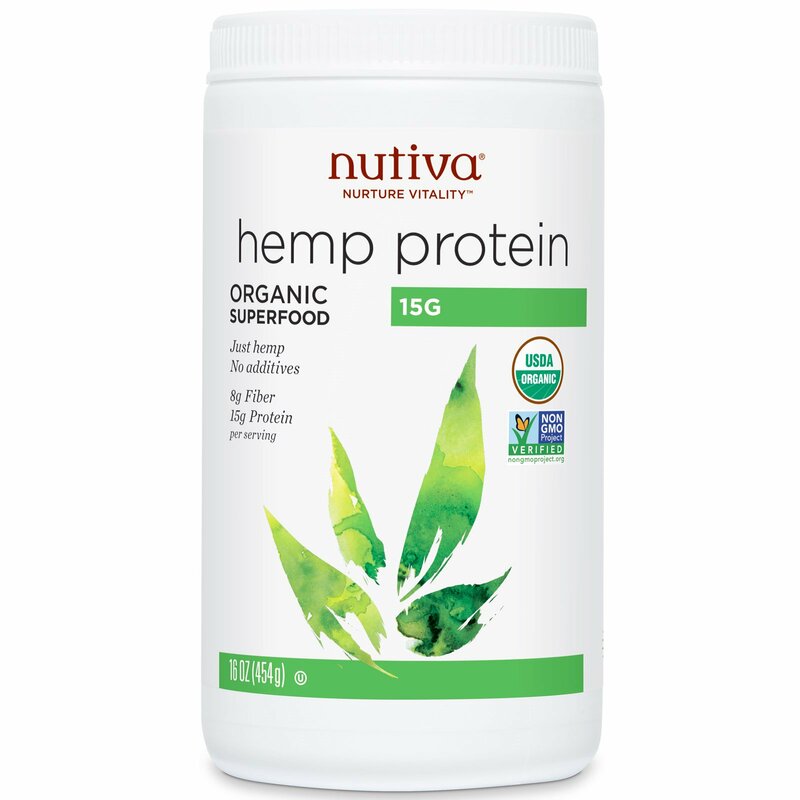 Unlike most non-organic soy proteins, our hemp protein is not processed with hexanne, a harsh solvent. It's also vegan and comes in a non-BPA container. Blend 2-4 Tbsp Hemp Protein with 8 oz. milk (almond milk is ideal) and a ripe banana, or try the recipe at right.